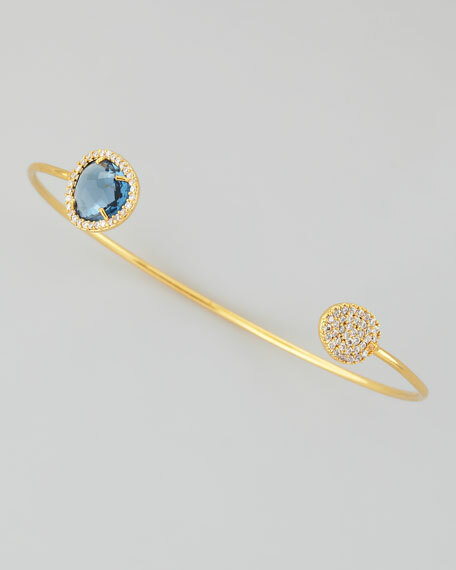 Stack this Tai pinch bracelet with several or wear it as a single to declare your devotion to delicate style. End caps feature faceted blue glass and pave cubic zirconia. Slightly malleable; opening for slip-on style.